COEUR D'ALENE, Idaho - Coeur d'Alene Church of the Nazarene has served its parishioners since 1941, with roots going back to the first group of Nazarenes who congregated in the region in 1912. Like many houses of worship, the church had been making do with an inadequate, practically antiquated sound system until it brought in Spokane, Washington's Hoffman Pro Systems and HARMAN Professional for an audio revival. 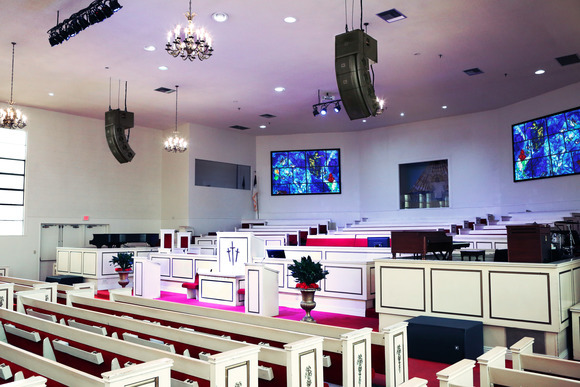 "The sanctuary literally had two wall-mounted speaker boxes to provide coverage to the entire main floor, balcony, under balcony and the church's extended side wings," said Hoffman Pro Systems general manager Dave Kenagy. "To say it was insufficient for the church's current needs, which include providing sound for a full praise band, would be an understatement." Not so for the current system, specified by designer/installer David Lewis which features a Soundcraft Si Expression 3 digital console, Crown XTi 2 Series amplifiers, JBL VRX Series and additional loudspeakers, dbx PMC16 Personal Monitor Controllers and AKG K240 MKII headphones. The Soundcraft Si Expression 3 has a MADI card installed and provides 32 inputs from the floor as well as local inputs at front of house for playback from various audio sources. A Soundcraft Stagebox is located at the front of the pulpit/stage area, linked to the console via a HARMAN BLU-Link card. Two dbx PMC16 Personal Monitor Controllers connected to the front of house via Cat6 cable enable the drummer and guitar/bass player to control and balance their own individual monitor levels, which Kenagy notes helps to keep the overall stage volume lower and easier to mix. 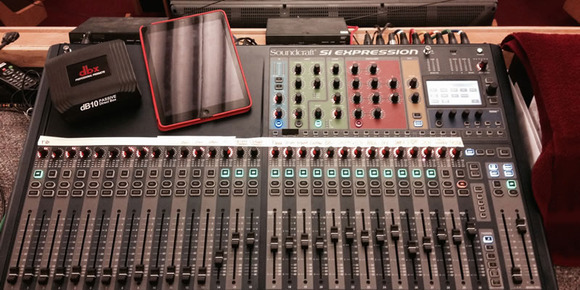 The Si Expression 3 handles the front of house and all monitor mixes. "The church volunteer staff had to make the move from their old analog console to digital," noted Kenagy. 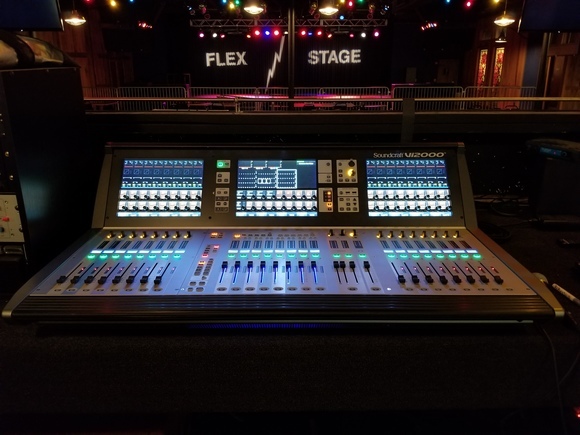 "Although they're not audio professionals, the board's straightforward control layout and ability to store and recall snapshots made it easy for them." Three JBL VRX 932LA-1 Constant Curvature loudspeakers and two VRX918S subwoofers are hung as the main center cluster. Two VRX928LA loudspeakers are used for balcony fill, with three AC18/26 wall-mountable loudspeakers employed for under-balcony fill. Two AC18/95 wall-mountable loudspeakers are used for front side fill where the seating wraps around the front corners of the stage. In addition, an AC26 compact loudspeaker is mounted on stage and aimed back at the choir area. 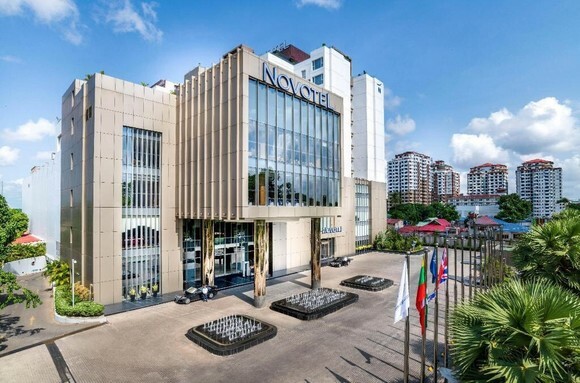 The loudspeakers are powered by a total of five Crown XTi 6002, XTi 4002 and XTi 1002 amplifiers. Lewis noted that the Coeur d'Alene Church of the Nazarene is "extremely happy with the new system. 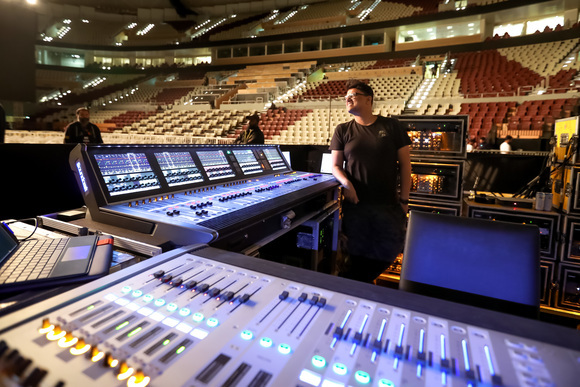 Aside from the fact that it's a night and day difference from their old setup sonically, for the first time it enables the church to mix the praise band the way they should be heard and it gives the pastor and the speakers the freedom of wireless movement." Another benefit which was unforeseen by Lewis and the church's staff: the sound quality is so clear throughout the entire sanctuary that fewer people are using the church's assistive hearing devices.